So the initial TCG game contains SWG items that are exclusive to the TCG and accessible either by (a) purchasing booster packs or (b) getting lucky and receiving a loot card in one of the five free, monthly packs given to subscribers. No problem, really. It generates interest in the TCG and lines SOE's pockets at the same time. No real "betrayal" is at play here. But now we are approaching the first TCG expansion and it's more of the same without any significant additions to the main SWG game. Isn't this just legalized profiteering? Maybe that's a stretch, but the fact remains that our $15 a month subscription fee is no longer adequate in order to use new content. Not only this, but the players who pay money to be a trader are even further smacked around by the fact that they are not able to craft these new items. This trend of exclusive TCG loot cannot continue. Yeah, so I'm obsessing. 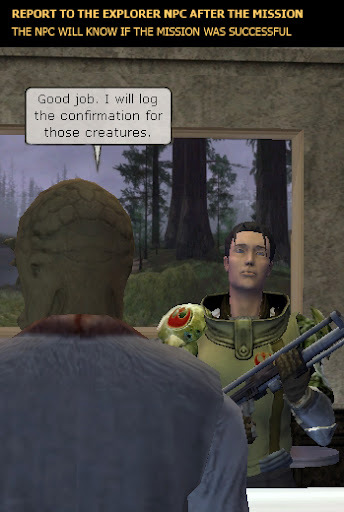 But I still have no answer from the SWG Community Team about why my post was considered trolling. (Refer to yesterday's SWG Thought of the Day). I will continue to press the issue, as I deserve an answer. I consider this a form of arbitrary censorship. Now it seems that my questions are being ignored. Rather then offer either (a) an explanation, (b) a change in policy or (c) an apology, I am left to stew and simmer; amplifying my position from one who was offended by the accusation of trolling to one who is quite angered by the lack of communication and customer service. 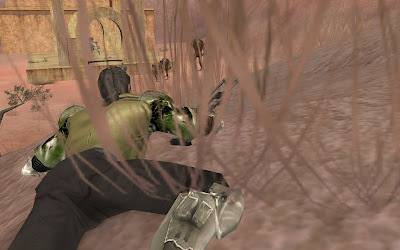 Turns out that there is an unwritten rule in the SWG Official Forums that states that "NGE threads create trolling and fighting and are thus discouraged". Such threads can and will be locked, and the writer shall be told "Please post on something relevant." At least we have such objective rules. The offending post is contained here, in it's entirety. Is this a troll? Was the NGE actually a smart move? I read over the weekend that NCSoft's Tabula Rasa will be closing down in February of next year due to failing to meet expectations. I only ever tried the 14 day trial, but I had a lot of fun with the game and even toyed with subscribing up until I read of the shutdown. 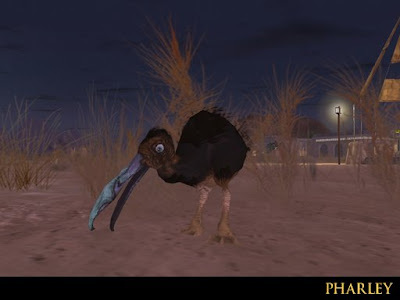 The game had a fairly original system mixed in with the standard MMO feature set. Overall, it felt pretty unique in my opinion; it stood out in my mind in terms of the content, rules and interface. And that's when it struck me: Blizzard is the spawn of Satan with their World of Warcraft. Thanks to the success of WoW, all MMOs shall now be measured against their success. Most games now offer copycat systems of WoW, even if WoW did not conceive of all its features. They have, perhaps, figured out the formula to reach the broadest possible audience; to make their game easy to learn and even addictive. Other games will attempt to take part in their success, without any real hope of knocking them from their perch. Face it, Star Wars: The Old Republic is going to have a WoW-like system. Sure, sprinkle in a few new things to liven up the recipe, but for any company to "think" that they will have success, they will study and emulate the gold standard in the industry, and that is Blizzard's product. So, considering that Tabula Rasa is failing to generate the target revenue, it's pretty safe to say that any company would pull the plug on a product that was leaving them in the red. In other words, Star Wars Galaxies is likely turning a profit for SOE, even if it's a smaller profit then during the first year. Maybe the NGE decision was actually a smart move, in retrospect. By switching over to a WoW-induced system, the appeal may have broadened at the cost of cutting off the existing, and restless playerbase that came first. It's possible that declining subscription numbers from the Combat Upgrade forced SOE's hand to not just save a sinking ship, but rather switch over to a smaller, sturdier ship built in WoW's image. I am a fan of the old sandbox, open-ended, and big-galaxy feel from the pre-CU, but I felt an urge to play the Devil's Advocate and suggest that the NGE could have saved SWG in the long run. Now we owe our "thanks" to Blizzard and their target audience for dumbing down the MMO genre for years to come. We can only hope that a daring company will buck the system, attach themselves to a hot, creative intellectual property and build an MMO that proves that not all games need to be created equal for them to be successful. Hang in there SWG. If SWTOR turns out to just be a WoW clone, you just might be in a position to take the Star Wars MMO ball and run it in for the score. But let's get everything aligned properly first. Let's capture the pre-CU goodness, without the loads of pre-CU badness. 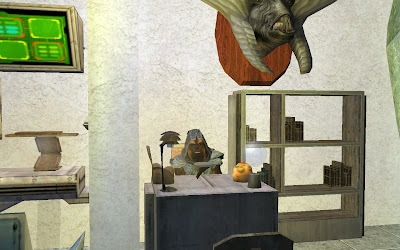 We're stuck with the WoW-like features thanks to an NGE that may have kept SWG's head above water, but it wouldn't take much to keep adding general expertise (ala Beast Mastery) to achieve some of the sandbox that made SWG pre-CU such a success. fighting and are thus discouraged. Please post on something relevant. Say wha? Did he even read the post? If the NGE was several years ago, what game am I playing now? Don't be a troll. "Trolling" is defined as: Posting with the intent of stirring up trouble or to incite disruption. An example of trolling would be posting to a thread without the intent to provide constructive suggestions or comments and instead making disruptive comments. Please stay on topic. These Forums are provided to enable members to help each other in sharing their passion for the game. Please refrain from discussing personal matters, abusing any company or product, or, in general, from posting in a manner unrelated to the direct purposes expected in the Forums. So I drew a comparision between the failure of non-WoW-type games to the success of SWG after switching to a WoW-like format and this is considered trolling. Oh, and there are also "a million posts like this" according to the "moderator". I take great pride and utilize equal amounts of care when I craft a new thread. I attempt to be original, thoughtful, helpful and entertaining if possible. To be blatantly called a troll and locked without any Forum Rules to govern such an action is quite offensive. Should the point need to be driven home any further, I should gladly like to do the legwork for the afforementioned moderator and locate scores of senseless, baiting and flaming posts that are in direct violation of the existing Forum Policies but were not locked down. I am still waiting for a better explanation of the locking; I feel I deserve at least this much. 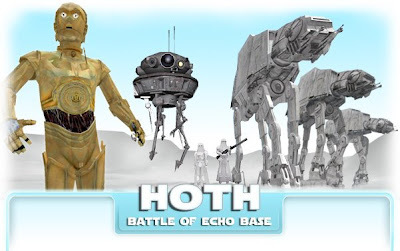 Hoth has certainly created a stir in SWG, if the GPD forum is any indication. Meanwhile, it seems you better be very, very careful when you post any topic in the General Any Topic forum. A few hunchbacks tend to get a little upset if you don't post exactly the way they want you to post. Here's a post I started that plays a little Devil's Advocate in regards to the success of the NGE. If you skip over the responses from the afforementioned hunchbacks ringing their bells, you may like to join in on a brief discussion regarding the move to the NGE by SOE. Could it have been sheer brilliance afterall? I may be in the minority, but I am looking forward to getting more Life Day decorations this year. After the holidays, I store them in my bank until the next year; continually adding to the collection each time. The fact that I have to wait 11 months before using the items again makes it special. While on the hunt for the Gurk King, Vincer briefly returned home and gifted a pharple baby to Cyra. She named him Pharley. 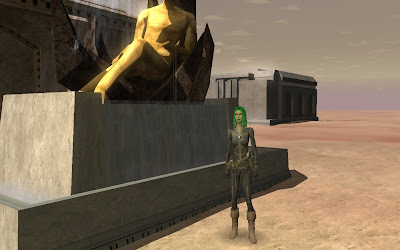 The kind folks at Star Wars Galaxies have selected me for the Player Spotlight this week. I'm honored to be a part of the official site, if only for a week. Thanks, Valara! I can't help but think my Basset Hound will be good for subscriptions. How can my daily thought be on anything but Hoth at this point. Though I am not likely to make it to this important battle, it is still very important to the game and it's future. Here's to hoping it is met with much success and that it heralds in even more new content - and not just heroics, but content for us all! I received a distressing communication today while at Oracle Base. I intercepted an encoded message that I set my protocol droid HR2-SRV to deciphering straight away. After many stressful minutes, the silver-plated droid reported that the message came from the main Alliance base on Hoth, codenamed Echo Base. The Empire managed to locate the headquarters after distributing probe droids around the galaxy. The bases general was able to put up a planetary shield and intends to use the ion cannon to cover the retreat, but the Imperials have implemented a ground assault that will press the base on two fronts. 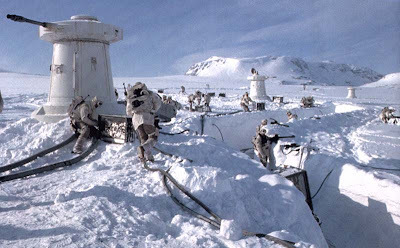 It could be a dark day for the Alliance if the Rebels are defeated at Hoth. I am forwarding a new encoded message to all neighboring Rebel cells in an effort to organize relief efforts. I should also stress to any Rebels who will receive this message to avoid the Hoth system at all costs, as it's crawling with Imperials; even if the fleet there is led by the clumsy Admiral Ozzel. Certainly not my own idea, but it's been discussed by several on the official SWG forums. The idea is much like the Beast Mastery tab in that it's available to everyone, only the expertise nodes therein use their own point system apart from the expertise points gained by levelling up. Personally, this is a great way to get back some of the "sandbox" aspect that was the real success of this game early on. If these General Expertise points were made available via quests or other in-game accomplishments, it would also add some gameplay content apart from character customizations. It's why I am a big proponent of the Droid Commander and Gardener systems. They're great ways to customize a character template; but we need more! TKA, Ranger, Fencer, Pirate, Gambler, etc. My hunt for the elusive Gurk King continues. The Gurks have a relatively complex class structure, with a King that all others look to for guidance and protection. The King is generally much taller and more imposing then the standard Gurk. But what I have come to find is that there is more then one! At any given time, there are no less then two Gurk Kings moving around on the surface of Lok. They tend to be along the equatorial region of Lok, north of the volcano, but rather far from Nym's settlement. They surround themselves with at least four standard Gurks and either live at a primitive hut or at the ruins from another civilization. I also suspect that there may still be only one Gurk King, and that the others are simply decoys. Truly remarkable, if this is the case. I shall continue to hunt and study these creatures; all in the name of science of course! The old Ranger profession (and the required Scout base profession) offered a very enjoyable game experience. A hunting party had a definite advantage with a Ranger directing the group towards creatures, or the Ranger could go solo and explore the game world; avoiding NPCs and sneaking past creatures by covering themselves in the correct scents. 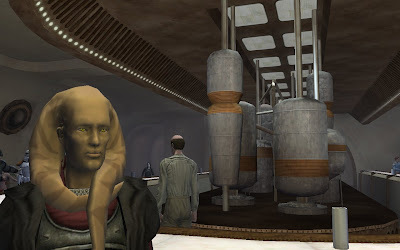 Throw in the camps a Ranger could create, as well as the various traps, and you had a very fun gameplay style; a style that is missing in the current implementation of SWG. 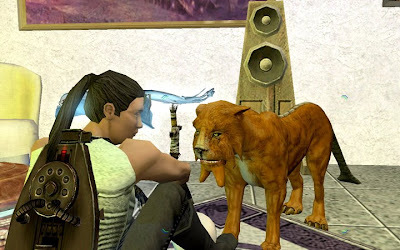 I've posted a new idea on the GPD forums of SWG. I am attempting to make use of existing resources and help reintroduce a scouting-based playstyle. Please have a look at the link below. It's a bad decision, both from community and business practice standards to consider unpaid months towards Veteran Reward calculation. If you pay for a month, it's credited towards your Veteran Rewards. No other solution makes sense in terms of measuring loyalty, which is what the system is geared to do. So many NPCs, so little use. It was nice to make use of them during the Moon Festival, but now most of them will be largely ignored by everyone. I'm thinking that we can use them to give information to the players. A small squad of Geonosians descended upon Oracle Base, perhaps attempting to capture or kill our scientist Cyra Sedaris. The foul creatures managed to infiltrate all the way to the central stretch before engaging the skilled doctor. Sedaris proved to be a difficult capture, slinging her pistol with deadly accuracy and felling her foes. I arrived too late, but it appeared I wasn't needed as I found Cyra standing over the fallen beasts, even rummaging through the pack of one and pulling out what appeared to be some sort of lucky talisman. I requisitioned a nearby Rebel ship to drop some troops down and fortify the perimeter. Though the Geonosians made no further attempts that night, I don't believe they are finished. No less then seven Gameplay Discussion posts on the first page dealt with AFK gameplay. Is it really that important? A decision must be made; an action must be taken. I'd love to see additional music added to the game, as well as environment sound effects. It would add a great deal to the game, and could be triggered to run on the client side to avoid any lag issues.